What if I don’t have an Image Vault account already? The password can be anything you choose as long as it is a minimum of 6 characters. 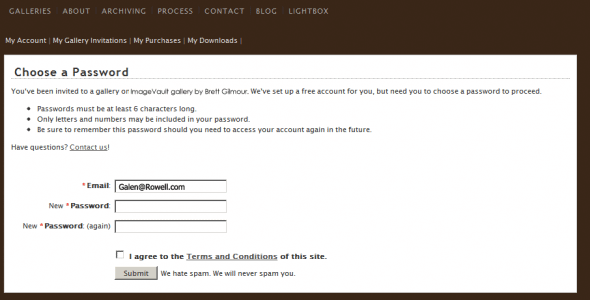 This will activate your free ImageVault account which you can use in the future to view additional galleries or license images. Once we have set your password on your provisional account, or if you already have an account, you will be directed to the gallery that we invited you to.